Need to sell a Car? Sell a car cash with one phone call. Cash for Cars that do not run, sell a car fast now. We buy cars in any condition. Call for a free quote. 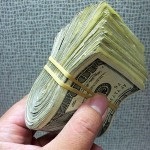 We buy cars in cash seven days a week. We come to your home or office with the cash amount stated on the phone. Our family has been serving the Los Angeles and The San Fernando Valley including Sherman Oaks, Reseda, Canoga Park, Woodland Hills, Calabasas, Northridge, Van Nuys, Granada Hills, Panorama City, Simi Valley, Santa Monica, Los Angeles and Ventura Counties since 2007. Need a Car? No Credit? Bad Credit? Low Bucks? We want to sell you your next car. We buy quality cars and recondition them at licensed facilities. We have a selection of popular cars, vans, SUVs. We can find your car! We will do our best to help you finance a quality car with a payment you can afford. Buy A Car – Used Car Los Angeles, Fill out the form below and we will begin searching our inventory and checking our contacts to help you find the car you are looking for. Financimento Autos Usados Sin o Mal Credito Poca Lana.